Make Spinach Your Go-To Veggie! Spinach is like a "super food" when it comes to good health, and spinach and weight loss are equally well-matched. 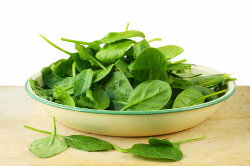 Spinach contains a lot of fiber and it's loaded with plenty of vitamins and minerals. Spinach has very few calories, so you can enjoy a lot of it without going over your calorie count for the day. Best of all, there are so many ways to enjoy spinach! Grains for Weight Loss: Are They Good or Bad? People often cut out certain items from their diet because they believe it will help them lose weight faster. Grain products have been one of the common foods eliminated because of the widespread belief that "carbohydrates make you fat". Is this really true? 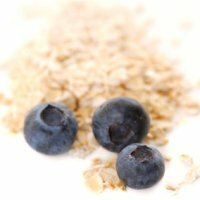 Or can you eat grains for weight loss? It's important to note that not all grains are bad for you. Some grains are actually great for weight loss and shouldn't be eliminated from a weight loss program. Nuts are full of healthy fats, which have been proven to help with the feeling of being full, and that's one major thing that helps with losing weight. The more satisfied you feel, the less you are likely to snack excessively or overeat during the meals. Nuts are also very good for the body in general. 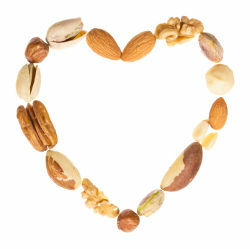 They have a high amount of Omega-3, which has been proven to be beneficial for the brain and heart. They are also low in sugar, which makes them a healthy alternative from the chocolates and candy that most people snack on. This lowers the amount of sugar in your system and helps to prevent Type 2 diabetes, which is a common problem for those that are overweight. Just because you want to lose weight, you don't have to give up all of your favorite snacks. You can eat just about anything as long as you eat it in moderation. Of course, some of the best snacks are fruits and vegetables because they are so good for your health. 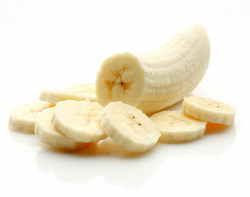 One of the best fruits to eat for a snack is bananas, and they are perfect for weight loss. Bananas are filling and release energy slowly, which means that you will feel fuller for longer- which means you will not feel the need to eat as much during the day. Remember when your parents used to load your plate up with veggies and not let you have any dessert until you finished every last bit? They just might have been onto something with all those dark green vegetables. Take a look at Popeye and his spinach. He would down a can and practically lift a car. Impressive wasn't it? Maybe the general idea isn't so far fetched. Five of the healthiest dark green vegetables include broccoli, kale, spinach, romaine lettuce and Swiss chard. These vegetables, identified by their dark green color, are rich in antioxidants and usually have large amounts of phytochemicals like Vitamin C.
Many foods tend to lose nutrients when cooked. The great thing about these dark green vegetables is that you can find them easily in your grocery store and they taste great with little or no cooking, leaving much of their nutrients intact. Many people focus on diet improvements because they feel they need to lose weight. It's true that obesity is a rising problem, but more importantly the issue of health is at the heart of it all. If you think your diet needs improvement, you're not alone. It's true that "you are what you eat," and your food choices determine how you feel every day. The proper choices enable your body to fight stress and disease and keep you in tip-top shape so that you look and feel good. You can feel the benefits from proper nutrition almost immediately. 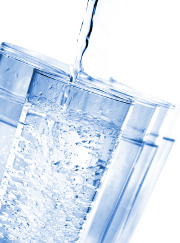 With a few healthy changes to your diet, you can be feeling great in no time. You already know how important it is to make healthy food choices for you and your family. But how can you fit the best choices into your busy life? You’ll be pleased to discover that a hectic life doesn’t mean that every meal has to be fast food on the run! 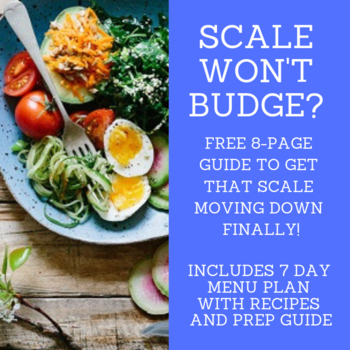 Sometimes it's difficult to make healthy changes, but with a little planning and know-how, it can be done. Fruits and vegetables are an important staple in any diet. 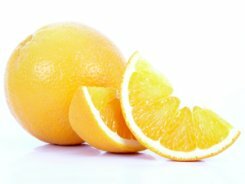 While a diet containing a variety of fruits and vegetables is best, orange is one of the healthiest colors you can look for. Orange vegetables contain beta-carotene, a form of Vitamin A, which is great for eyesight and eliminating free radicals. The beta-carotene gives the vegetable its orange color. Some of the healthiest orange fruits and vegetables are sweet potatoes, squash, pumpkin, carrots, mangos, oranges and papaya. These fruits and vegetables are great sources of nutrients and usually have a sweet flavor, making them ideal for satisfying those cravings for sweets. 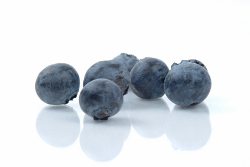 There are certain foods out there that have come to earn the label super food. Super foods can improve your health by lowering your risk of heart disease and stroke, while boosting your energy, focus, and mental sharpness. The best part is that you get these benefits using all natural foods, instead of items containing chemicals and drugs.